As a teacher, Dave was instrumental in the creation of the Law, Public Safety & Security CTE pathway, which in 2017 was recognized as the Advance CTE National Program of Excellence. He instructed courses in that area while serving as the mock trial coach and varsity assistant football coach. Dave was previously recognized nationally as the Residential Educator of the Year from the Coalition for Residential Education (CORE), and he also received the Teacher Impact Award from WGAL and Rotary International. 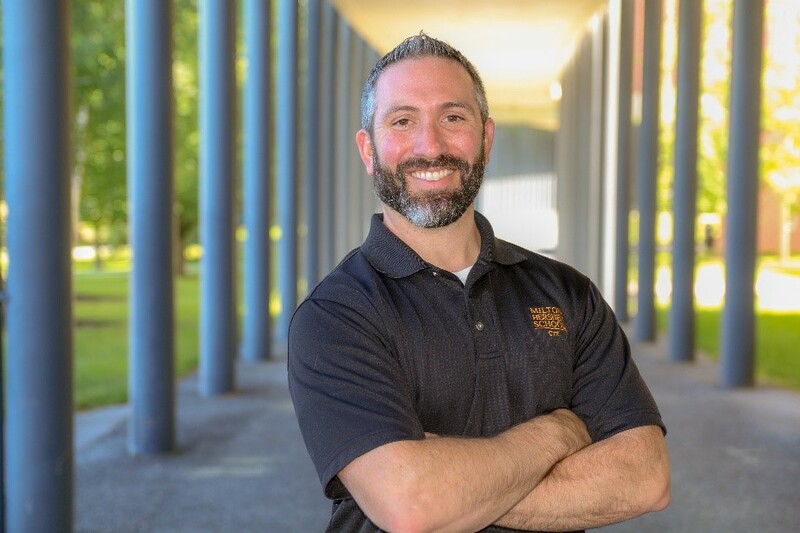 In his current role as Career & Technical Director at the Milton Hershey School, Dave worked with the Pennsylvania Department of Labor & Industry to establish Pennsylvania’s first state-registered pre-apprenticeship as well as the first hybrid apprenticeship, connecting students in CTE programs directly into careers upon graduation. In this role, Dave has also provided oversight to the summer internship program, co-op and part-time work experiences, which requires ongoing communication and networking with local businesses and organizations. Dave has also worked to expand advanced learning opportunities for students by establishing an articulation agreement with Pennsylvania College of Technology, Lebanon Valley College and Pennsylvania College of Health Sciences, whereby students can enroll in multiple college courses during their senior year. See how the Rotary International commitment to education is in full swing regionally.